With winter almost upon us, right now is not the most fun time to be shopping for a new heater. Still though, here you are. 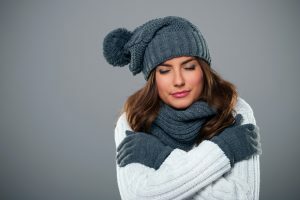 You probably wouldn’t be reading this post if you weren’t already in need of a new heating system. And you’re probably pretty tempted to just go run out and buy the biggest one you can afford. But this would be a mistake. There are a number of factors to consider when buying a new heater, such as its energy rating, whether it would be most efficient to get the same type of heating system you’ve always had, and yes that’s right—size. It matters a lot more than you may think. What’s Wrong With an Undersized Furnace? A furnace that is too small for the home in which it is installed won’t be able to generate enough heat to keep your living space comfortable. Therefore, it will continue operating for much longer than it is meant to in an attempt to compensate. This is pretty much the exact opposite of what will happen if the furnace is too large which we’ll get to in a moment. In the end, these both have a similar result—undue wear and tear on the system resulting in a shorter system lifespan. What’s Wrong With an Oversized Furnace? This is a question we get more often. Most people understand that an undersized heating system can’t effectively heat the space it’s intended for. Furnaces that are too big for the homes in which they’re installed, though, generate too much output. Often, this results in the thermostat signaling the furnace to stop running before it’s had a chance to complete a full heating cycle. Heating systems of all sizes operate in cycles, meaning they generate a set amount of output over a set period of time before cycling off. If your furnace is shut down before it can even complete a fully cycle, it will start having negative effects. This process is known as short-cycling, and will cause the various components of your furnace to wear down more rapidly than it was designed to. A furnace that’s too big for your home won’t be able to actually heat the home efficiently, since the thermostat will keep cutting it off, and the overall lifespan of your heater could be shortened. Call in a pro! Seriously—determining the proper size of a furnace isn’t just a matter of getting the right physical dimensions. That’s part of installing the system, but you’ll want to look at the overall output of the system relative to the size of your home, and other details such as how many windows and doors you have, if you have any air loss, the type of insulation you have—all things that our pros are highly trained and experienced in doing. This same concept applies to central air conditioning systems. Your HVAC professional performs what’s called a cooling load, to help determine what size air conditioner you need. Overall, we just want to make sure your home is matched with the most efficient and effective HVAC systems possible! For reliable heating services in Lawrenceville, GA, look no further than Wall Heating & Air Conditioning, Inc. Contact us today!